India's Olympic wrestling sensation, Beijing bronze medallist Sushil Kumar, who wore the flag at the Olympic opening ceremonies in London has his match this Sunday. Kumar has been a vegetarian since birth. 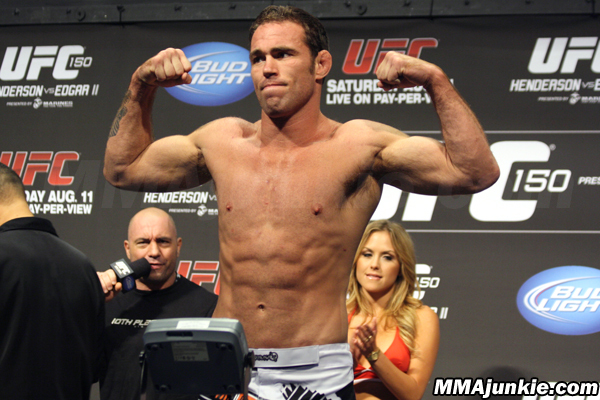 Like Kumar, MMA fighter Jake shields also is a life-long vegetarian and has recently gone vegan. He fights this weekend at UFC 150 against Ed Herman. Shields has bulked up to 185 and will be throwing down with his grappling, jiu itsu and striking skills.